It used to be hard to find well-thought-out justifications for atheism. Most people I knew were atheists but didn’t like to talk about it much (probably because they didn’t know that most people they knew were atheists too). The only famous atheists were either the shouty, angry kind or weirdos. You had to go all the way back to Bertrand Russell’s Why I am not a Christian essay from 1926 to find something witty and well-argued. You can go read that if like – it is pretty good – but, let’s face it, Bertrand Russell was a bit of a weirdo. Atheism got a big boost when the so-called Four Horsemen mounted their steeds and wrote the four books – God is Not Great, The God Delusion, The End of Faith and Breaking the Spell – that defined The New Atheism. It’s hard to recommend any of those books to someone who is not already pretty secure in their disbelief though and, of the four, only Richard Dawkins is neither shouty nor weird. They are all polemics of one kind or another. A polemic is a variety of argument or controversy made against one opinion, doctrine, or person. […] The word is derived from the Greek polemikos, meaning “warlike, hostile”. The most interesting writings about atheism are personal stories – like Russell’s – that answer the question, “Why Don’t you believe in God?” Here are three of my favourite stories. Ricky Gervais has a masterpiece in the genre in the Wall Street Journal today. Ricky has his eight-year-old self figuring out the answer. But anyway, there I was happily drawing my hero when my big brother Bob asked,”Why do you believe in God?” Just a simple question. But my mum panicked. “Bob,” she said in a tone that I knew meant, “Shut up.” Why was that a bad thing to ask? If there was a God and my faith was strong it didn’t matter what people said. Oh, hang on. There is no God. He knows it, and she knows it deep down. It was as simple as that. I started thinking about it and asking more questions, and within an hour, I was an atheist. Wow. No God. If mum had lied to me about God, had she also lied to me about Santa? Yes, of course, but who cares? The gifts kept coming. And so did the gifts of my new found atheism. The gifts of truth, science, nature. The real beauty of this world. I learned of evolution – a theory so simple that only England’s greatest genius could have come up with it. Evolution of plants, animals and us – with imagination, free will, love, humor. I no longer needed a reason for my existence, just a reason to live. And imagination, free will, love, humor, fun, music, sports, beer and pizza are all good enough reasons for living. 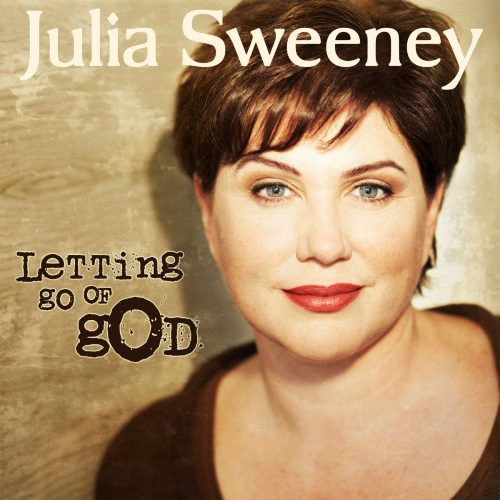 Julia Sweeney turned her story into a monologue – Letting Go of God – that she performs on stage. Here’s the first act, performed at Ted. You can watch a full performance of Letting Go of God on YouTube but be forewarned: in between the laughter, there will be tears. Keep a box of tissues handy. The last story that I like to recommend is Bart Ehrman’s essay that forms the introduction of his book Misquoting Jesus. When I was in seminary, I was taking a class devoted to the interpretation of the Gospel of Mark. At that time, I would have called myself a strong evangelical Christian. I thought the Bible had no mistakes. The first time I realized it did was Mark, Chapter Two. The disciples are walking through a grain field with Jesus, and the pharisees object to them eating grain because it’s the Sabbath. Jesus asks them if they haven’t read the passage in scripture when David went into the temple of God and ate show bread that wasn’t supposed to eaten. He says it happened when Abiathar was the high priest. Even though it was a tiny little detail, it exploded the whole thing for me. Once I realized there could be a mistake in the Bible, I started finding them all over the place. The first thing it did was made me realize the Bible is not an inerrant revelation from God. It’s a human book with errors. I stopped being evangelical and became a liberal Christian. I eventually became an agnostic. There’s no way I would have leaped from fundamentalist to agnostic. It required a lot of transition. And the first thing to go was the inerrancy of the Bible. Professor Ehrman is a little more scholarly than Ricky Gervais and his book is not a light read by any means. It’s a good read though, and examines the history of some famous bible passages – like the story of the woman accused of adultery – and when they were added to the bible. On my last plane ride I finished reading Nietzsche’s Antichrist. It certainly falls into the weird shouty polemic category.